"With sales taking place in New York City and Philadelphia, as well as in France, Germany and as far away as Australia, we’re pleased to give collectors of Asian art the ability to find and win rare pieces being offered across the world." BOSTON--(BUSINESS WIRE)--In honor of Asia Week, Invaluable, the world’s leading online live auction marketplace, is celebrating Asian art and culture throughout the month of March 2015. Invaluable offers a wide selection of Asian art and antique auctions from premier auction houses around the world this month, spanning centuries of important works from China, Japan and South and Southeast Asia. Asian art and antiques being offered at auction this month include paintings, works on paper, calligraphy, sculptures and more. Particular items of note include paper scrolls, jade carvings, snuff bottles, Chinese cloisonné and famille rose ceramics. Collectors are invited to view Invaluable’s online galleries to find selected auction highlights from these exceptional sales. Following below is a selection of Asian art and antique auctions taking place on the Invaluable platform during the month of March. Auctionata AG, based in Berlin, is offering a selection of Asian art and antiques on March 7, 2015, at 6:00pm CET. Highlights from their Asian Art sale include two 17th century Chinese Huanghauli pieces, including a Large Huanghuali Storage Chest (estimated at €12,800 - €16,000) and a Large Huanghuali Compound Cabinet (estimated at €11,200 - €14,000). The sale also features a stunning Red and Green Dragon Dish from China dating back to the Qing Dynasty (estimated at €3,200 - €4,000) and a Jade Scholar's Set from 20th century China, featuring an impressive relief carving (estimated at €9,600 - €12,000). French auction house Primardeco, based in Toulouse, France, is holding a sale of Arts of China and Japan on March 10, 2015, at 2:30pm CET. Highlights of the sale include a Chinese bronze Incense Burner studded with gold from the Qing period (estimated at €2,000 - €3,000), a Japanese Katana with a shinogi zukuri blade type (estimated at €1,800 - €2,200) and a Porcelain Cup depicting two bats facing China (estimated at €1,500 - €2,000). Auction house 888 Auctions, based in Ontario, Canada, is offering a sale of Asian Antiques on March 12, 2015, at 2:00pm EST. Noteworthy lots being offered as part of the sale include a Watercolor Scroll of Three Horses signed by Xu Beihong (estimated at $7,500 - $15,000), a Chinese Lotus Hand Scroll signed by Zhang Daqian (estimated at $5,000 - $10,000) and an 18th Century Pair of Famille Rose Lobed Pear Shaped Vases (estimated at $10,000 - $20,000). Australian auction house Lawsons is hosting a sale of Chinese & Asian Arts on March 12, 2015, at 11:00am AEST. Noteworthy lots include a Tibetan Gilded Bronze White Tara (estimated at $120,000 - $150,000 AUD), a Tang Pottery Equestrian Figure (estimated at $5,000 - $8,000 AUD) and a Famille Rose Blue & White Pair of Bowls (estimated at $3,000 - $5,000 AUD). Freeman’s in Philadelphia is hosting their upcoming Asian Arts sale on March 14, 2015, at 10:00am EST. 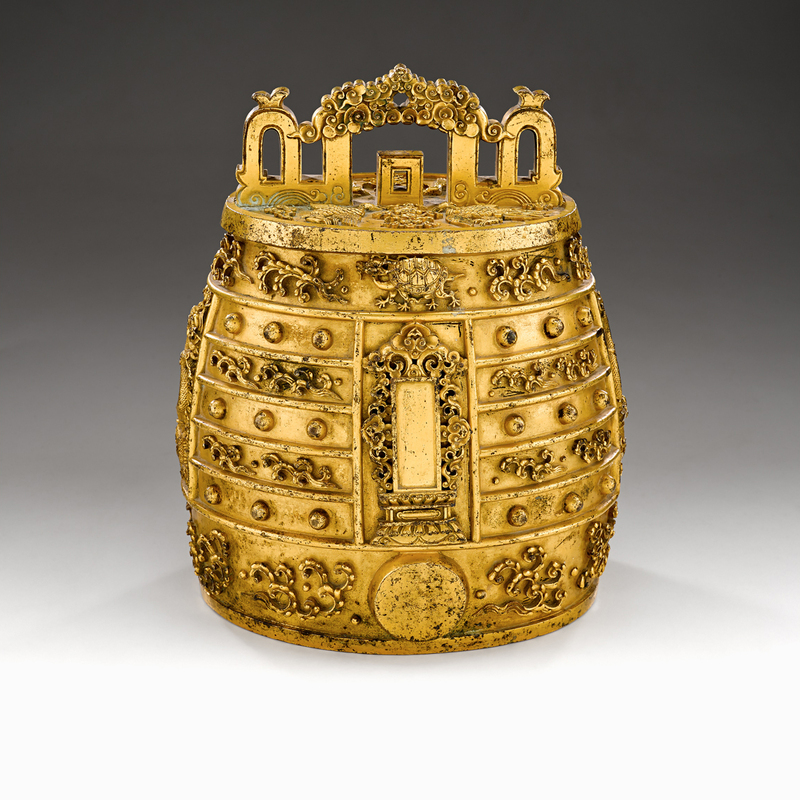 Highlights from the auction include a rare and important Chinese gilt bronze ritual bell dating back to the Qianlong period, 18th century (estimated at $100,000 - $150,000), an important Chinese Hetian jade book from the Kangxi period, dated 1667 (estimated at $100,000 - $150,000) and a rare Chinese incised white glazed porcelain bowl dating back to the Ming dynasty, 15th century (estimated at $10,000 - $15,000). Additional noteworthy lots include a fine Chinese pale celadon jade boulder dating back to the Qing dynasty (estimated at $50,000 - $80,000), a pair of Chinese Famille Rose square vases signed by Yu Zi Ming, dated 1882 (estimated at $20,000 - $40,000), a large Chinese cloisonné enameled bronze censer dating back to the early Qing dynasty (estimated at $15,000 - $20,000) and a Chinese Gilt Bronze standing figure of Vajrapani (estimated at $15,000 - $30,000). Auctionata US, based in New York City, is hosting their sale of Asian Works of Art on March 15, 2015, at 12:00pm EST. Highlights of the sale include a bronze figure of Amitayus from 14th/15th century Tibet (estimated at $56,000 - $70,000), a Chinese Relief Carved White Jade Water Vessel from the Qing Dynasty (estimated at $32,000 - $40,000) and a Chinese Sancai Phoenix Ewer from the Tang Dynasty (estimated at $24,000 - $30,000). Other highlights include a bronze Padmapani from Eastern India, dating back to the Late Pala Dynasty (estimated at $24,000 - $30,000) and a small Huanghuali Chest from 19th century China (estimated at $16,000 - $20,000). Doyle New York’s much-anticipated Asian Works of Art sale is scheduled for March 16, 2015, at 10:00am EST. Noteworthy lots being offered as part of the auction include a pair of massive Chinese cloisonné elephants from the early 20th century (estimated at $70,000 - $90,000), a Chinese Famille Rose enameled porcelain bowl dating back to the Qing Dynasty (estimated at $15,000 - $25,000) and a Chinese soapstone seal chop attributed to the Imperial Qianlong Workshop (estimated at $25,000 - $35,000). Additional highlights include a Sino-Tibetan Gilt Bronze seated Avalokesvara (estimated at $25,000 - $35,000), a Chinese Huanghuali corner leg table from the Kangxi Period (estimated at $60,000 - $80,000) and a Chinese Famille Rose glazed porcelain cup with the Yongzheng Mark on the base (estimated at $10,000 - $15,000). On March 22, 2015, at 2:00pm PST, I.M. Chait, based in Beverly Hills, CA, is offering an auction of Important Chinese Ceramics & Works of Art. Headlining the auction is an important Chinese Ming Dynasty Gilt Bronze Bodhisattva (estimated at $400,000 - $500,000). Also being offered at auction is a large Chinese Huanghuali Canopy Bed (estimated at $60,000 - $80,000), a Chinese Blue and White Porcelain Box dating back to the Wanli period of the Ming Dynasty (estimated at $50,000 - $60,000) and a Chinese Bronze Guanyin from the Song Dynasty (estimated at $50,000 - $60,000). Additional highlights include a 15th Century Chinese Blue and White Porcelain Meiping vase (estimated at $35,000 - $50,000), a pair of 15th Century, Chinese Ming Dynasty, Fahua Vessels (estimated at $25,000 - $30,000) and a pair of Chinese Carved White Jade Gu Vases (estimated at $24,000 - $28,000). 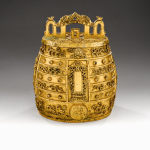 On March 23, 2015, at 10:00am EST, auction house James D. Julia, based in Fairfield, ME, is holding an auction of the Personal Collection of Dr. Helga Wall-Apelt, featuring a wide selection of Asian art and antiques. Headlining the sale is a Dr. Wall-Apelt’s massive life-long collection of rare Asian photographs, including approximately 800 images. Most of the photographs are from the 19th century, and the collection is estimated to realize $425,000 - $525,000. Other highlights from the sale include a rare pair of Cast Iron Buddhist Lions from the Mind period (estimated at $60,000 - $80,000), a massive Gilt Lacquer Wood Figure of Vairocana (estimated at $40,000 - $60,000) and a pair of Chinese Jade Screens with a Landscape Design (estimated at $30,000 - $50,000). For more information on these auctions, or to register to bid in any of these sales, please visit Invaluable.com. Invaluable, the leading online live auction marketplace, features a live online bidding platform that allows collectors and dealers to bid in real-time in auctions held around the world. As the leading developer of SaaS and e-commerce applications for the auction industry, Invaluable provides auction houses with ecommerce and marketing solutions, as well as auction management software. Invaluable’s best-in-class historical price database includes more than 58 million complete auction results, totaling more than $204 billion in value. 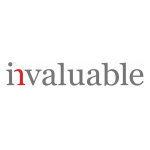 Founded in 1989 and headquartered in Boston, Invaluable also has an office in the United Kingdom. For more information, visit www.Invaluable.com or follow us on Twitter: @InvaluableLive.